The tax deadline is looming, but you still may need to track down some of your financial records straight or maybe something complicated came up that needs your attention instead? IRS Form 4868 will save the day! Form 4868 refers to the ‘Application for Automatic Extension of Time to File Income Tax Return’, and generally it could pretty confusing if you’ve never used it (or read it) before. Basically, this is your ‘first line of defense’ of sorts, your legal right to request an extension. The good news is that if you make your tax payments electronically, using IRS electronic payment methods then IRS will automatically extend your deadline for you without filling out Form 4868. When will you qualify to use the form 4868? Keep in mind that if you do not make payment in the specified time, interest will start piling up. This means that filing an extension will not grant you an extension for making payment. You are still required to submit an estimated tax payment with Form 4868 by the filing deadline. You can extend the deadline for up to 6 months given that you were out of the country. Though it’s not a rule, other reasons for deadline extensions seldom give credit for over two months of extended time. There’s another puzzling ‘rule’ which tightly correlates what we just discussed – the law states that you don’t actually need to explain the reason why you are asking for the deadline extension, which further means that everyone who requests it is presumed to be doing so due to the reason he/she was out of the country. The deadline for Form 4868 is April 15th. The only exceptions from the April 15th filing deadline are the states of Maine and Massachusetts. Deadline for residents living in these states is April 17. In addition, under the presumption that you were out of the country on the due date, you will be allowed an additional two months to file (and pay) your taxes without filing an extension. Keep in mind, however, that you will still owe interest. If you are out of the country during your deadline, you may also be entitled a ‘special tax treatment’ if you pass ‘bona fide’ (in good faith) and physical presence tests. If you can neither file your return or pass one of the tests by the regular filing deadline, you will have to submit Form 2350 for a deadline extension for you to complete those tests for ‘special tax treatment’. Even though the deadline extension forms and the procedure can seem complicated, they’re in fact very simple if you go through and fill out the form yourself. Remember that both the state and the law are there for you – nobody wants you to pay ridiculous amounts of interest. Rather, it’s in everyone’s interest to allow you to pay your taxes. One final piece of advice – don’t panic and be thorough. 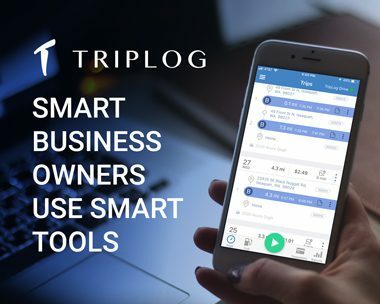 Sign up to get TripLog latest blog updates directly in your inbox! Show that you found the article interesting by liking and sharing.